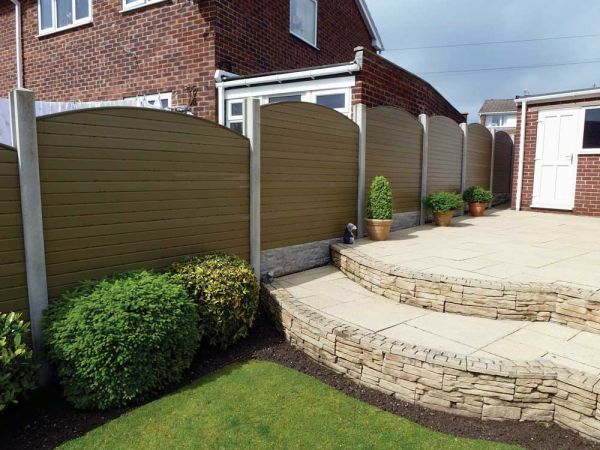 Deeplas composite fencing is the new stylish and easy to install fencing solution that saves you money. 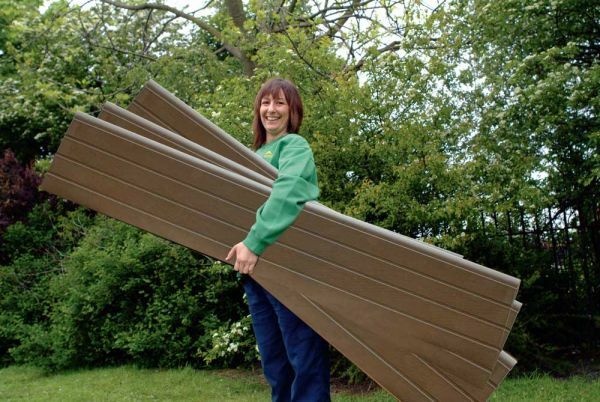 Not only will it revolutionise your garden with its contemporary look and feel, but it’s also the environmentally friendly choice too, being manufactured from 75% recycled materials. 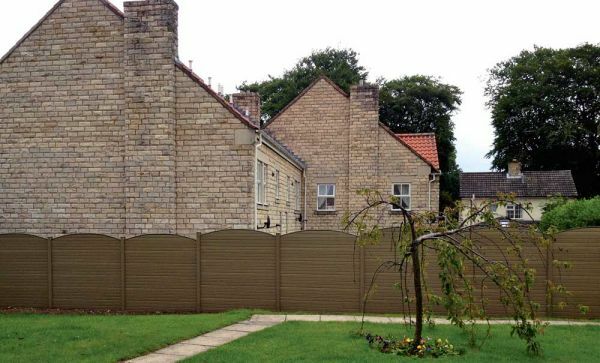 How composite fencing will save you money? Lets compare the costs. Looking over a 10 year period of 10 standard sized panels composite fencing will need little or no maintenance. Over a 10 year period that could be save you as much as £674! 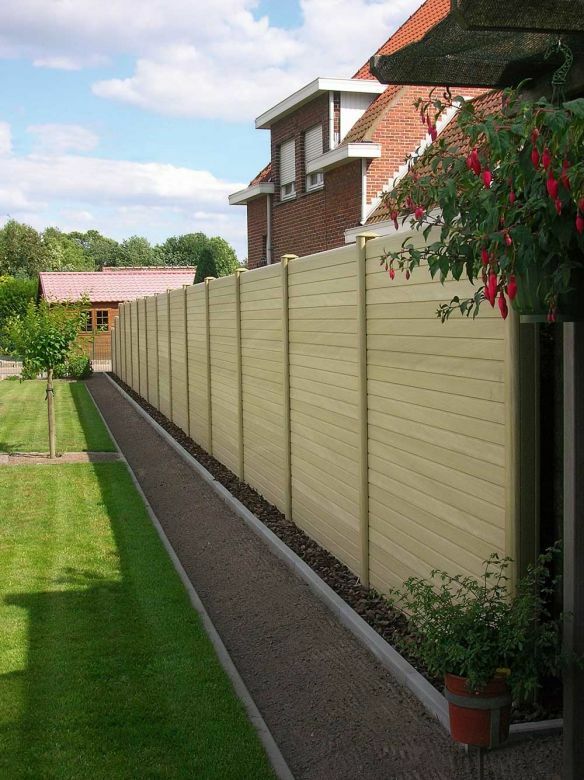 Plus, our composite fencing is backed by our 20 year guarantee against rotting. Variations in colour including shade and pigment are not covered by our guarantee, but any variations that may occur over time will not affect the rigidity and stability of the product. 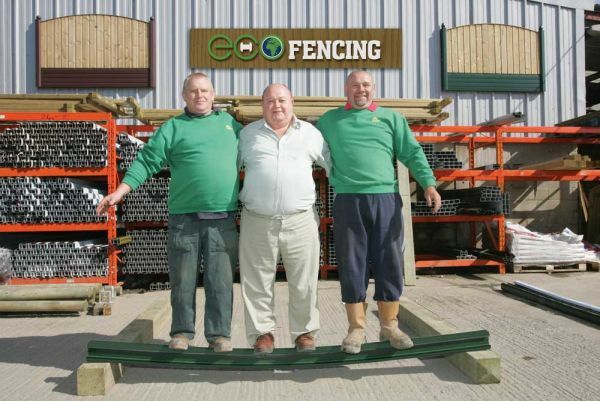 In short composite fencing is built to last! Use with existing posts Remove the old wooden panels from the concrete posts and slot the composite fencing in place. Looks and feels like wood The unique finish will add beauty and unlike most traditional fencing, the dual face means you can also share the cost with neighbours. 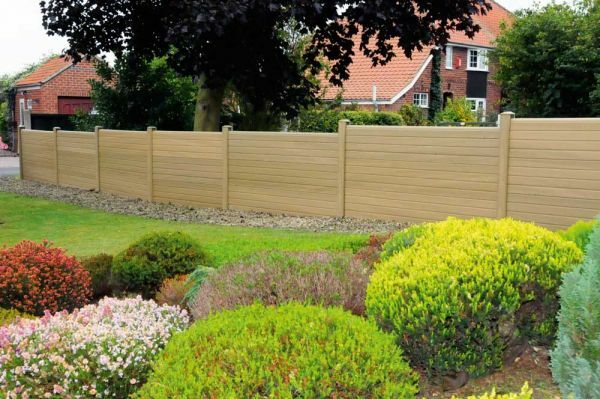 Use with timber panels Composite fencing posts and gravel boards can also be used in conjunction with wooden panels. Extremely strong Independent testing has proved a greater tensile strength than concrete posts, demonstrated by the 56 stones above! It will even flex in strong winds. Incredibly light At around 5kg, it is incredibly light and strong, it makes handling and transportation easy. 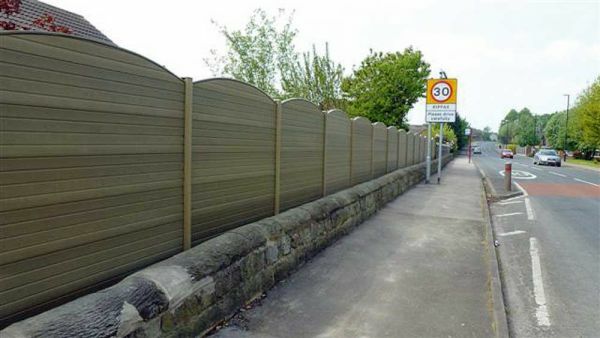 The health and safety risks of concrete fence posts are eliminated. 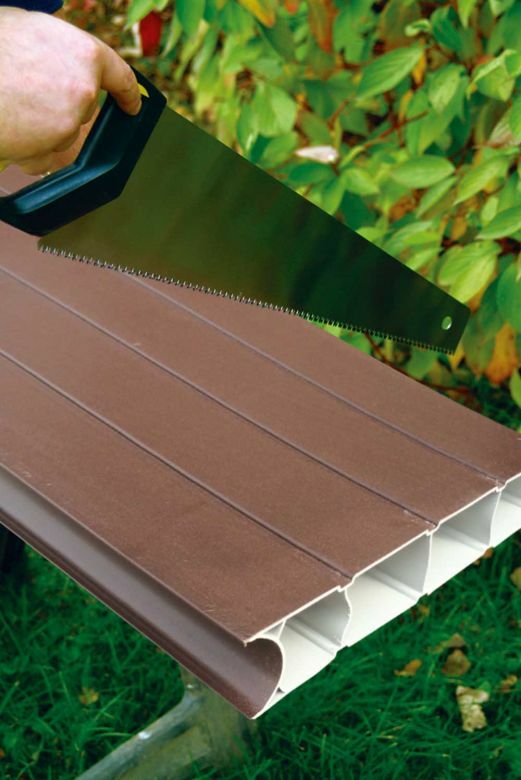 Can be cut with a handsaw Composite fencing and gravel boards are easy to cut and trim to suit popular European fence panels (1.8m wide). 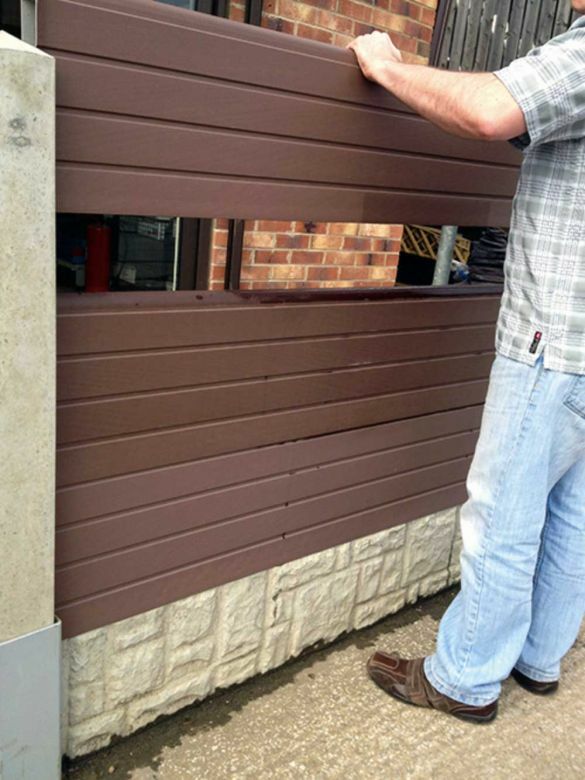 The material will also accept screws to secure the fence into position.